Peter Serafinowicz on "The Tick"
"The Tick" is back, but don't expect the same superhero. The stars of the new Amazon show, based on the indie comic book series, talked to CBS News about why this reboot will be very different from previous iterations. 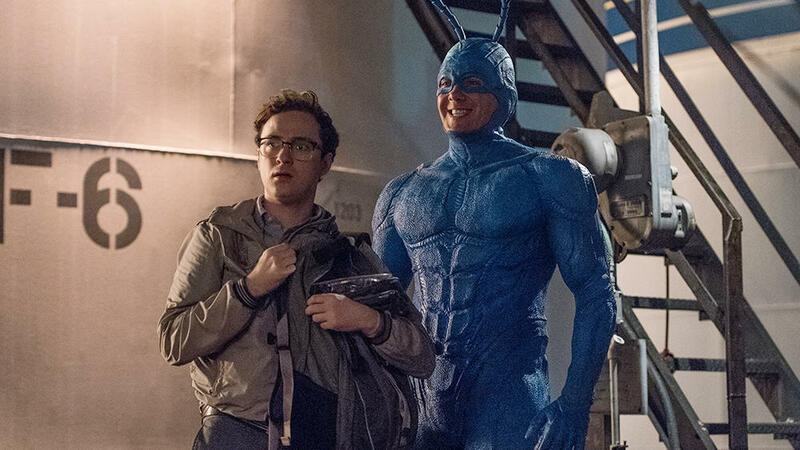 "The Tick" follows a lovable, dimwitted superhero and his anxious sidekick Arthur as they attempt to save the world from The Terror and his accomplices. Previous adaptations include a 1994 cartoon series and the 2001 live-action series. Griffin Newman, who plays Arthur, said he grew up a huge "Tick" fan. "My mom would not let me watch the cartoon when it was on because she was overly protective," he admitted. "But when the [Patrick] Warburton version started, I watched that obsessively and when it ended prematurely, I went back and watched the cartoon, so I've been a big fan since then." Still, he said he made this version of Arthur his own, especially since executive producer Ben Edlund said he did not want the actors to do imitations of their characters from previous "Tick" shows. "What I wanted to do was try to identify the things that felt really fundamental to the character," said Newman. "I had to find the things, as a fan, that would make people comfortable and go, 'OK, he's Arthur. He knows what he's doing." He's kind of neurotic, he's fearful and he's a panicked guy, but there's something very sweet and childlike and gentle about him that's existed in all the versions, and I wanted to bring that to the forefront. He has a real empathy for others." Valorie Curry, who plays Arthur's sister, Dot, said of her character, "She existed in previous iterations, but she was more of a device than a full human being so it's a totally new Dot. Hopefully fans will be excited to see a character they only have a little familiarity with, to see that character be fully realized." Peter Serafinowicz, who plays the title character, said he did not really watch any of the TV versions of "The Tick" on purpose. "I thought, 'I can't watch anymore because I don't want to be influenced by it,"' he said.